January 26th is International Sous Vide Day. Invented in France over 40 years ago, this method of cooking has been popular with professional chefs for a while. But recently, it has started to trend with a more serious level of home chefs. A sous vide is an appliance that cooks vacuum-sealed protein in a temperature controlled water bath over a long period of time. The results are incredibly flavorful, precisely cooked meats, fish and poultry that are quickly seared to finish. While inexpensive home sous vides appliances can cost under $100, those probably won’t cut it for true foodies. 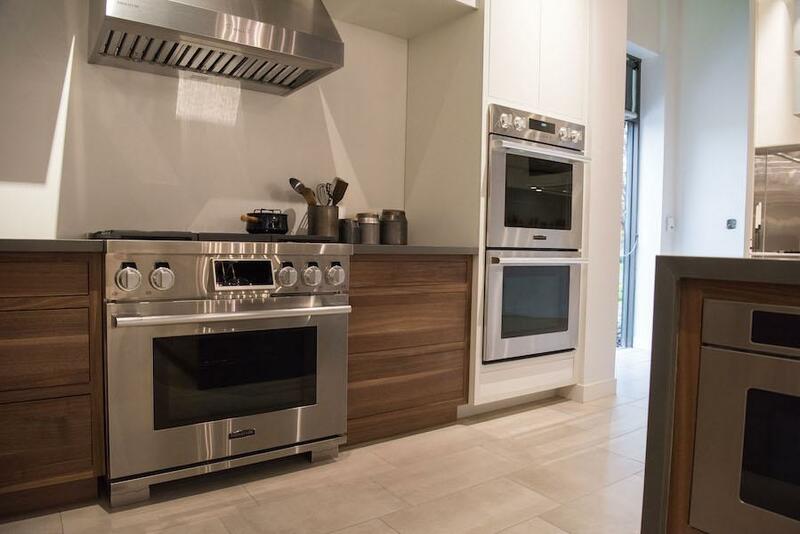 In April 2018, Signature Kitchen Suite, which is a new luxury appliance brand backed by LG, released their 48-inch Dual-Fuel Pro Range. It’s the first consumer range that has a built-in sous vide. The Wi-Fi enabled device also has lots of other interesting features including two Ultra-High burners for searing and two Ultra-Low burners for precision simmering. 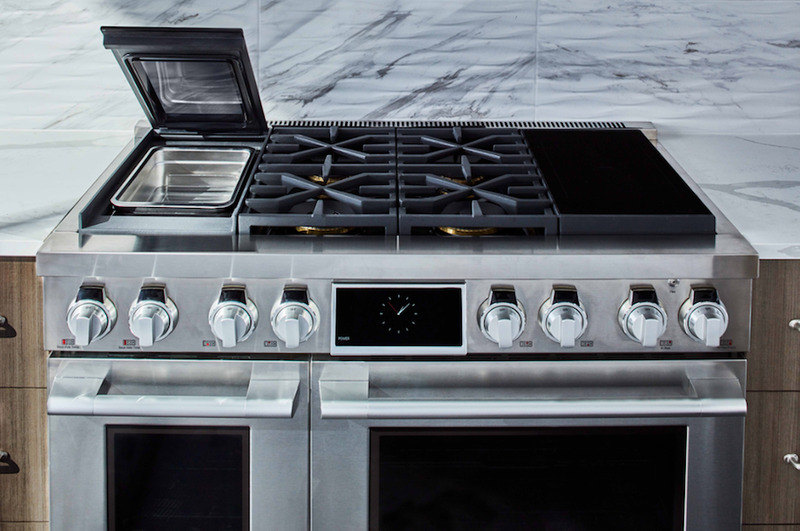 The oven has two-zone induction and cooks with a combination of both steam and convection heat. A number of professional chefs and food experts recently gathered for a panel at LG’s Signature Kitchen Experience & Design Center. This included Mark Bittman and Barry Bredvik, as well as A.J. Schaller (executive chef at Cuisine Solutions), Ellen King (co-owner and director of baking at Hewn Bread) and Jean-Charles Boisset (vintner and proprietor of Boisset Collection). The general consensus was that this range delivered professional features and results at a consumer level. However, the range is still easy to use and has plenty of elements that are truly consumer-friendly. For example, the self-cleaning feature takes just ten minutes, which prevents hours of your home being overheated and reeking of gas. There is even a timer on every knob for the highest level of convenience. The range itself is in some sense, a wolf in sheep’s clothing. Many high-end consumer ranges can look intimidating, even to the technicurean crowd. But from an aesthetic standpoint, despite the large size, it remains rather non-obtrusive looking. It offers a superior level of features that are as close to professional as it gets for a consumer product. But it still looks and feels like something anyone can use. The sous vide is purposely non-intimidating and easy to clean up. Precision wasn’t just the overall goal in creating this range, but also the entire Signature Kitchen Suite line. The Column Refrigerators, which are available in both stainless steel and panel-ready styles, are incredibly innovative on a number of levels. For example, the 24-inch Integrated Column Refrigerator has the industry’s largest capacity with 13.9 cubic feet of storage. These wifi-enabled refrigerators also have smart functionality that allows users to adjust the temperature remotely. But on an even more practical level, the Signature Kitchen Suite app will send notifications to your phone to solve that age-old problem—the open door. However, one of the most innovative features is that the refrigerator can be retrofitted into older cabinetry in a way that is flush, avoiding the need for a major renovation or the pain point of unclean lines. “It was designed to be half an inch narrower than any other product that is on the market today,” says Elkin. 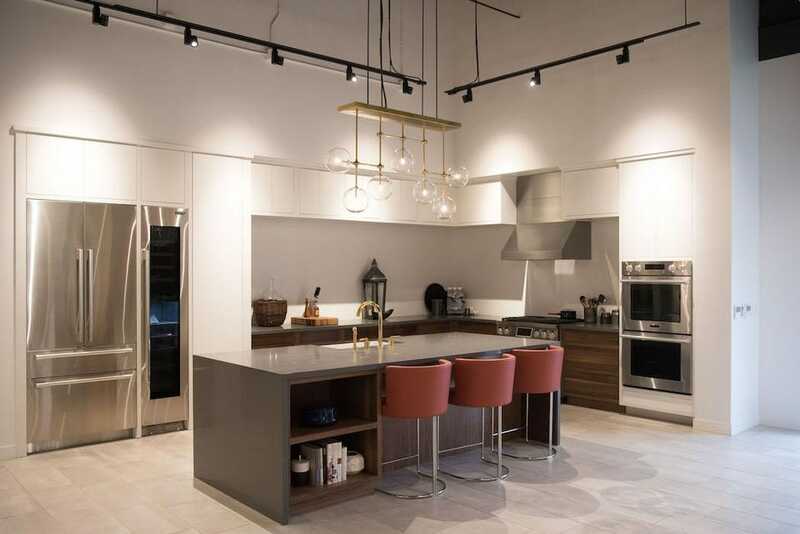 Another interesting product in the Signature Kitchen Suite line is the Wine Column refrigerator, which will be available starting in February 2019. This fridge is perfect for all varietals because it has independent temperature zones. There are three in the 24-inch model and two in the 18-inch. The zones can be set from 39 to 69 degrees Fahrenheit. The traditional, historic old-world caves of wineries located in Napa inspired the product’s “wine cave” technology. It is designed to reduce vibration, which can impede wine preservation and create imbalances that affect the quality, flavor, aroma and texture. 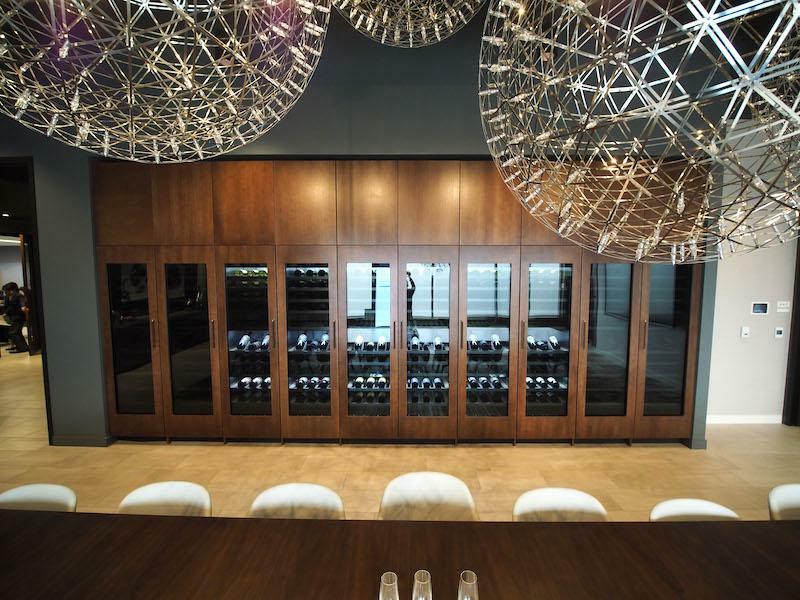 The interior shelving is made from unfinished beechwood, which can help eliminate oils, odors or other wood byproducts, which can potentially alter the purity of the wine. The Wine Column is also a winner from a design standpoint. 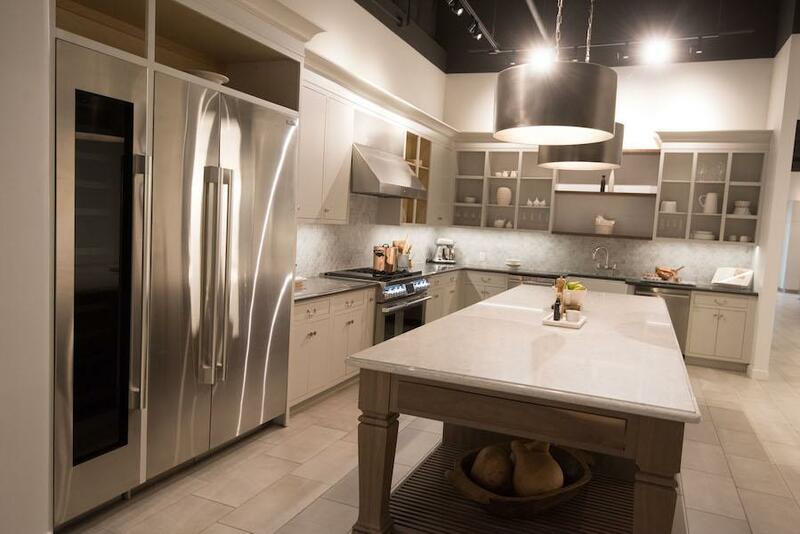 Like the Column Refrigerators, they were engineered for flush installation and are available in stainless steel as well as panel-ready models. The darker door is an intentional aesthetic choice that will appeal to both wine and design aficionados equally.